MLS# ML81730604 - Lobos 4 Nw 3rd Avenue, Outside Area (inside Ca), CA 93921 - Pat & David Fogg | David Fogg Real Estate, Inc.
Carmel Safe Haven …On a quiet village street a cottage of warmth, comfort, and ease welcomes all. This single-level home features a large master bedroom with ample closets, a guest bedroom, and two perfectly remodeled full baths. 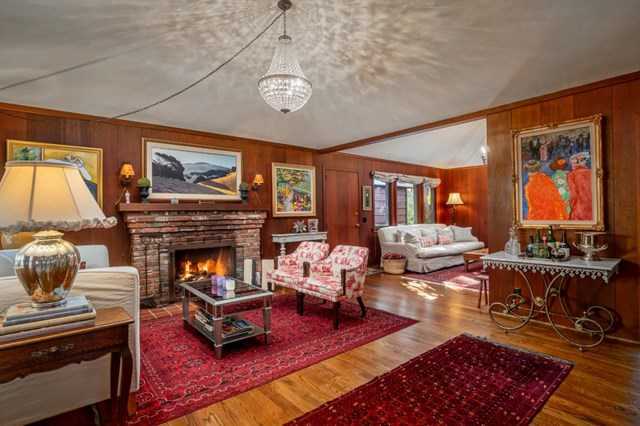 The living room with cozy fireplace opens to a separate family room; both have vaulted ceilings. Gleaming with all the amenities, the kitchen includes designer cabinetry and marble counter tops that extend to a radius edge breakfast bar and adjacent separate dining area. Lovely hardwood floors flow throughout. There is a separate laundry room and an abundance of extra storage and built-ins.The interiors are designed for both privacy and spaciousness, perfect for entertaining. A tranquil sunny front patio beckons get-togethers and outdoor dining. With easy access to Carmel Village fine dining, galleries, boutiques, and the white sand seashore beyond….Come be inspired !!! Please, send me more information on this property: MLS# ML81730604 – $1,450,000 – Lobos 4 Nw 3rd Avenue, Outside Area (inside Ca), CA 93921. I would like to schedule a showing appointment for this property: MLS# ML81730604 – $1,450,000 – Lobos 4 Nw 3rd Avenue, Outside Area (inside Ca), CA 93921.